Originally from Kempsey in New South Wales, Crossingham has astounded social media users with his record-breaking catch off Fiji, where he now lives. A skipper at Freedive Fiji, Crossingham was spear fishing off the coast of Fiji when he caught the huge Wahoo. Found in tropical and subtropical seas worldwide, Wahoo can grow as big as 83kg and at 57kg Crossingham's catch is a new record for Fiji. The whopper Wahoo received significant traction online this week when Cameron Kirkconnell, Cayman Islands spear fishing guide, shared the jaw-dropping photo of Crossingham's catch. Kirkconnell's post has received 1700 likes and reactions as well as over 660 shares. Over on Instagram, users were similarly astounded, with the image receiving some 5000 likes. The post has drawn a mixture of awe and scepticism, with some commenters not believing their eyes and crediting the monster catch to a photoshop job. However other less cynical commenters had nothing but admiration for the catch believing it to be the biggest Wahoo they'd ever seen. Although not a world recording breaking catch, the 57km Wahoo was certainly a new record for Fiji. It's thought the monster catch and resulting sensationalism on social media will cause a spike in the number of visitors wanting to join Fiji fishing charters. 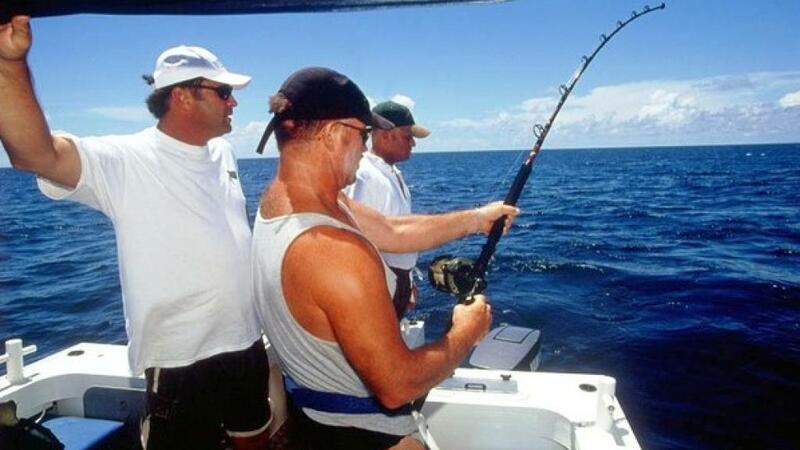 While this kind of monster catch is few and far between, fishing aficionados are encouraged to try their luck cruising the waters around the Mamanuca Islands using a variety of top-of-the-range equipment.